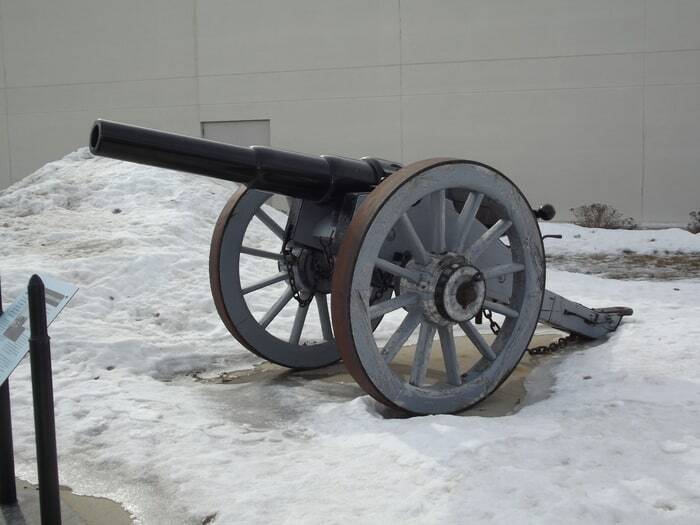 The Breech Loading Rifled 40 Pounder 35 cwt (hundred weight) gun was used in Canada for mobile and coast defence roles. Introduced in 1859 as a naval gun, the BLR 40 Pounder was also known as the 40 Pounder Armstrong gun because of the Armstrong screw breech mechanism. Originally manufactured with a 32 cwt barrel, an improved 35 cwt was introduced as production continued. The example on exhibit was made in 1871. The Armstrong screw breech was not a completely successful design, causing a reversion to muzzle loading in later heavy designs until a satisfactory breech mechanism could be developed.